Penguins and Kids Day (April 6) at the Zoo! 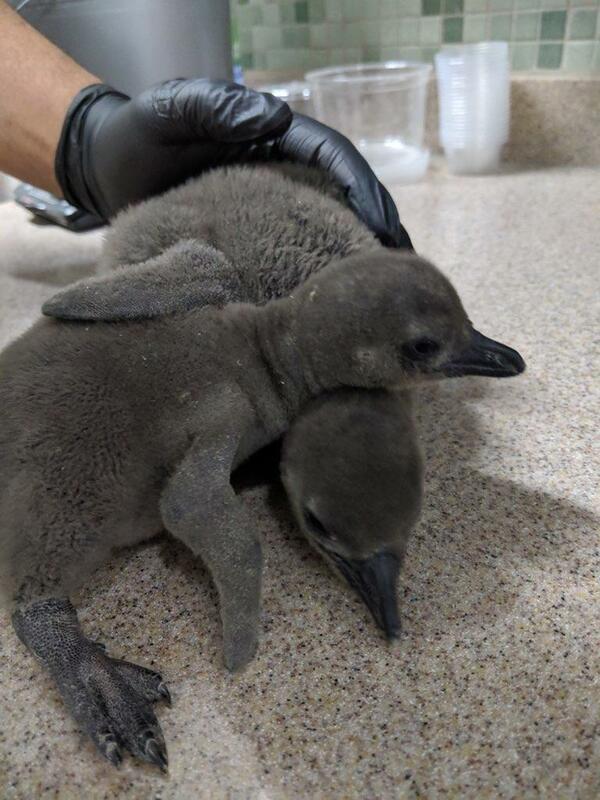 Robben and Dassen, two African penguin chicks, recently joined the Henry Vilas Zoo. The chicks were born three days apart at the end of Dec/beginning of January. They now have their juvenile waterproof feathers and will get their first swimming lessons by staff this week. Keep an eye out for when they will make their public debut! Kids day, Saturday April 6! This Saturday visit the zoo for kids day at the zoo. All day, carousel and train rides will be free. Kids 12 and under will also be able to get one free hotdog and ice cream treat at the Glacier Grille. April 27 - “Party for the Planet.” This commemoration of the zoo’s conservation work, there will be a solar presentation by Madison Gas and Electric, electric vehicles, and other Earth friendly educational displays.